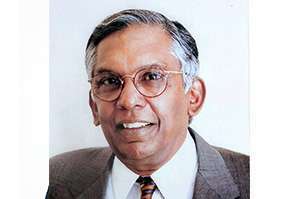 Subbiah is a third generation member and former Chairman of Murugappa Group. He retired in January 2004 after working for 43 years in the family business. He played an active role in transforming a number of group companies such as Carborundum Universal, T.I. Cycles, and EID Parry. Currently, he is the Managing Trustee of their family foundation, A.M.M. Foundation. He is also the Trustee of Pallathur Nagarathar Trust and Meenakshi Charitable Trust. In the past he was associated with the Association of Indian Engineering Industries (predecessor to CII), FBN (Family Business Network) International, Madras Crafts Foundation, WORTH Trust, and India Foundation for the Arts. He has also served as Chairman of the National Skill Development Corporation. 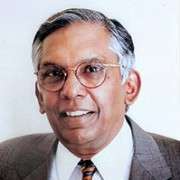 Subbiah is a recipient of many awards and accolades including the National HRD Award in 1988, the Distinguished Family Business Award for Murugappa family from IMD Lausanne in 2001, the JRD Tata Business Leadership Award in 2002, and honorary doctorate from Birmingham University (UK) in 2011. In 2012, he was conferred with the Padma Bhushan by the President of India.